Breakthrough: Meeting with Buzz Bee Toys Inc. :: :: iSoaker.com ::: iSoaker.com | Information | The Armoury :: Article Listing - Breakthrough: Meeting with Buzz Bee Toys Inc.
Buzz Bee Toys Inc. Headquarters in Mount Laurel, New Jersey, USA. February 20 - 21, 2008. To discuss current and future directions on Buzz Bee Toys Inc. line directions, primarily the Water Warriors and Water Fun lines during my time there. I, of course, cannot dive into the specifics of the discussions due to confidentiality. Years of building a good working relationship with both the community as well as individuals in the manufacturing sector. The chance of ever getting to meet, let alone participate in a product development meeting, was once only a dream. However, continually striving to open and keep communication channels open with those in the manufacturing sector finally bears fruit and how sweet it is. I, of course, need to thank Buzz Bee Toys Inc. for offering and following through with the opportunity, but I also thank the majority of the members now part of the iSoaker.net forums for keeping me inspired to pursue things. 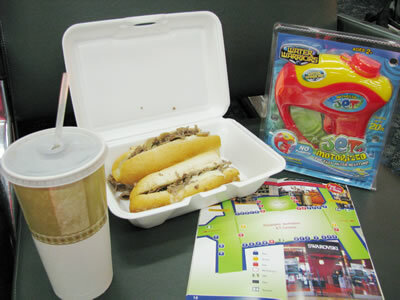 I started my first water blaster-related website nearly 10 years ago. For the past several years, I have continually tried developing stronger ties with water blaster manufacturers, always hoping to develop good channels of communication and offering constructive feedback on their products, ultimately hoping to yield better products in the future for the average user. This had led to me making some decisions that were not always favorable to all members of the online water warfare community, but I still believed such sacrifices would help get us one step closer to these goals. Over the years, so many things have changed with the consumer market changing, manfuacturing costs and rules changing, and myself losing communication with so many of my earlier contacts due to job changes. In spite of this, I always kept an eye out for openings, cultivating and cherishing any contacts I did manage to keep throughout the years. It has never been easy or straightforward, but as there always seemed to be some signs of progress despite things dragging on over the years, I remained optimistic. 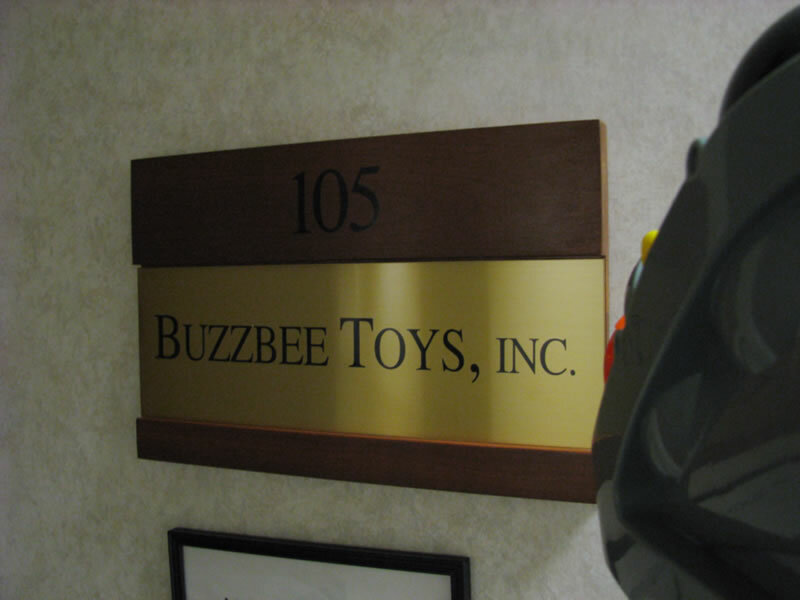 Early this month (February, 2008), I received an email from the President of Buzz Bee Toys Inc., whether I would be willing to participate in their product development meeting. I had become quite familiar with the President (a.k.a. "Big Bee") over the years, initially through emails and online forum discussions. If memory serves me correctly (which it does not for that moment in time *smile*), I sat there stunned for a moment, needing to carefully re-read that email a few times to be sure I had not misinterpreted words. To my joy, it was truly an invitation; one which I would have been foolish to allow to pass by. I respectfully accepted the invitation and, after sending my agreement to go, travel and accomodation arrangements were made. In the few short weeks leading up to the meeting, I posted a few key threads on the iSoaker.net forums to get members talking about current concerns without making it overtly obvious what was going on. This was done primarily since I had not yet been given the okay to publically mention my participation in this meeting. The threads What makes a great water gun / water blaster?, The Future of Water Warfare, and Safety Equipment were all created to get some ideas about present day ideas and concerns that the community has in mind. Outright soliciting for specifics often change how people respond, thus I hoped these general threads would allow members to explore their thoughts naturally. Granted, these threads did not and could not cover every aspect of community thoughts and concerns, but they covered a lot. The rest of community's overall thoughts would need to come from my own knowledge and perspectives accumulated over the years reviewing stock water blasters, running iSoaker.com, and running or co-running various water warfare communities. Early on the morning of February 20, I was aboard a plane en route to Philadelphia airport. Mount Laurel, NJ, the location of Buzz Bee Toys Inc. headquarters is actually just across the river from "Philly". Sitting aboard the plane, so many thoughts rushed through my head. What would it be like? What could I say? What should I say? How will they react? How do I make the most of this opportunity? On my laptop, I went over a number of online forum threads, postings, as well as emails sent my way over the years. However, kowing I was to be met by the president from the airport, I had to gather my thoughts together. Welcome to Buzz Bee Toys Headquarters! After a thankfully non-eventful flight, I was greeted by the president of Buzz Bee Toys Inc at the airport whom I had met in person a few times before. He drove us in his car from Philadelphia across the river to Mount Laruel. We chatted along the way about things I should expect and some general thoughts regarding different perspectives of the water warfare community. After a relatively smooth highway drive, we finally arrived at Buzz Bee Toys Inc.'s Headquarters. It is located in a simple, clean, commercial business park building on the first floor. Unlike what many may have expected or envisioned, myself included to some degree, Buzz Bee Toys' office space is a decent size, but fits within a large, single suite on the first floor of the building, unlike larger companies or corporations that may have entire buildings to call their own. However, after passing through the entrance area, the fact that I was standing in a toy company office space became readily apparent. In the meeting room, the current product lines to be discussed were arranged on the walls and adjustible shelving. Some of the inner areas were filled with boxes and tables piled with company products, open boxes with more products, and large boxes with an assortment of older products in various levels of assembly or disassembly. Being there would have been any kids dream and I definitely felt the kid in me coming out. However, despite my giddyness was from being there, this was still for a business meeting. I was asked to come for a number of reasons, but primarily to give my feedback on their current product designs as well as my commentary on their intended directions. Furthermore, I was given the opportunity to serve as a voice for the online water warfare community to discuss other issues that those less familiar with the water warfare sites. Having fun can be a serious business! Due to confidentiality issues, I simply cannot go into any specifics regarding what was discussed. In summary, every product of the existing Water Warriors and Water Fun lines were discussed one-by-one. Strengths, weaknesses, costs, number of sales/expected sales, etc. were all covered. As well, directions and concepts for the upcoming, not-yet-released products were discussed. Some of the items were in more advanced stages of development while others were still in their preliminary sketch formats. The first thing I learned after listening and beginning to participate in the discussions was that I really knew and had considered only the very edge of the whole development process. What it really takes to go from an idea to a concept design, then to prototype, engineering, then marketing and sales is so much more involved than I had initially envisioned. Having members of Buzz Bee Toys Inc from product development, graphics design, as well as from sales and marketing offering their own unique perspectives and experiences led to very insightful discussions. If a sales executive saw little to no chance of being able to successfully promote a certain item, that item either needed to be reworked such that those experienced in sales felt they could close-the-deal with retailers, otherwise it would simply be dropped from either continued production or further development. As well, if something looked awry and an initial concept could use some refinement, those in graphics and design could offer suggestions or even put together quick sketches of potential solutions, getting very quick feedback. As well as giving constructive feedback on individual products, I was also given a few opportunities to address the group as a whole, allowing me to raise overall ideas and thoughts towards the product lines as well as the hopes and aspirations of the entire general water warfare community. Simply put, I did all I could to remember and bring up as many points pertaining to stock water blaster design and water warfare directions that I could remember from all the discussion on the forums over the years. While some ideas are, undoubtedly, currently impossible to implement due to the present state of the marketplace, I was already more than pleased to be able to at least get these ideas heard. This had been my goal for a long time now and it was great to finally have the opportunity to bridge the gap. Meetings ran on the first day from roughly 9:30am when we finally arrived at the offices and continued until ~5:30pm at which time energy levels had begun to significantly drop. There were, of course, breaks from time to time in which I spoke with other members of the group, learning more about their own specific area of work as well as learning some very interesting and amusing bits of toy company history. While I was initially intimidated by meeting so many new individuals at once, after sitting through the first few hours of discussions and having lunch with the group, apprehension gave way to familiarization, then pure enjoyment, wanting to learn so much more about what goes on and what it really takes to develop a product. Of course, it is still up to the consumer market to ultimately determine what products end up selling the most, but seeing and listening to how these experienced professionals discussed the issues involved in getting products onto store shelves was very eye opening. The bottom line is if a product was not carried by a store, it has no chance of being successfully sold. Experience has taught these professionals what sort of products have a better chance of being sold to retailers, then to the consumer. Without a successful first step, the second step is impossible. It also costs a good amount of time, energy, and money to create items to show to retailers; few would buy into a product were it only shown as a sketch. Optimally, fully functional models are needed, thus the importance of optimizing various aspects the initial design while it was still on paper would translate into saved time and a better chance of a product selling successfully. Eight hours of meetings on the first day seemed to me to race by so quickly. Then again, it was the first product development meeting I had ever attended, thus my excitement level was undoubtedly higher than those who have done this over many years. However, I still like to believe that my presence and raised level of enthusiasm (but not hyper-giddyness) in participating in discussions helped the meeting progress. Of course, meeting with members of a toy company, these individuals' character were rather unique and amusing, indeed. After the first day of meetings, I was taken to dinner along with a few others the first day. Dinner was spent talking more about life and things, having already spent a day talking about products. After dinner, it was only a short drive to the hotel where many of the group were staying (most of the meeting's participants were not actually based in Mount Laurel). Upon finally reaching and checking into the hotel, exhaustion set in. I had been awake since 4:30am that morning and, while adrenaline kept me going throughout the meetings, now that I was alone, my body ached for rest. After washing up and changing into more casual clothing, I hopped online briefly to check out the forums and see if there was anything else I had forgotten that I could bring up the following day. Shortly thereafter, I opted to sleep as the next day was to be another full day of meetings as well as flying back home for me. In the following morning, I chatted with others who were also part of the group and staying at the same hotel over breakfast, many of whom I had not really had a chance to casually speak with the day before. Learning and sharing more with these individuals on a personal experience level made discussing ideas with them just that much smoother in the subsequent meetings. It was my true priviledge meeting and speaking with many individuals who help bring to the market the products we love to use. These two days of meeting flew by so quickly. I met with a number of truly outstanding and experienced individuals in their respective jobs, learning as much as I could from the thoughts/perspectives as well as short stories from their experiences. At the same time, I believe I was able to convey much if not the bulk of the thoughts of the water warfare community to this group. I have subsequently received positive responses from the other individuals I had met for the first time so all appears good. While not everything discussed regarding stock water blasters is currently possible, I firmly believe that this group at Buzz Bee Toys Inc. has the knowledge and the willingness to do all they can to help. For that, we, the online water warfare community, should be truly thankful.